EVEN IN WINTER, WE GROW STRAWBERRIES. 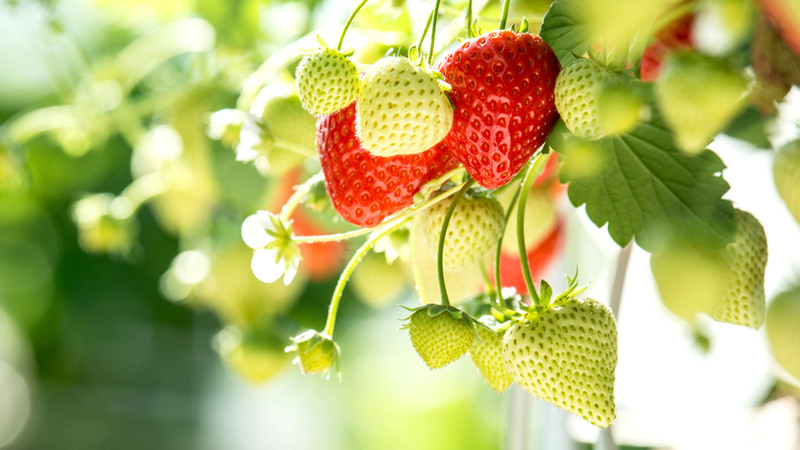 The Dutch strawberry is as tasty as it is stubborn. The environment in which this hormone-sensitive fruit thrives, is hard to control. We approach growing strawberries all year round as if it were top sport. We constantly improve our techniques to grow the tastiest strawberries in large quantities and of a constant, superior, quality. Years of in-company research has given us trendlines that offer an insight into how the crop behaves. 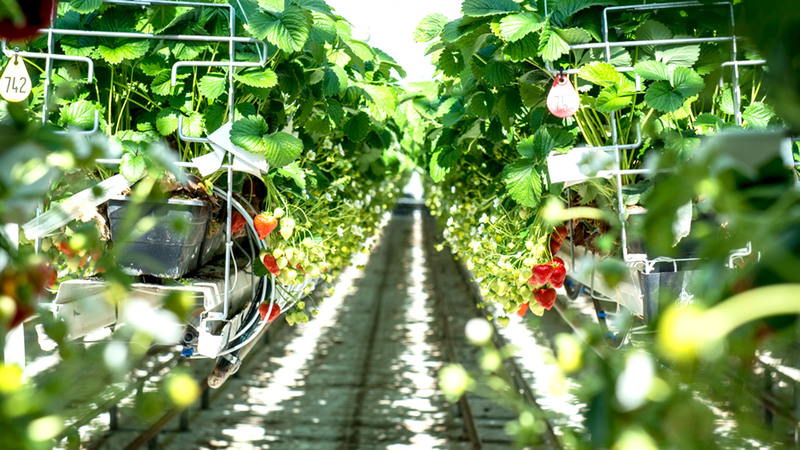 Variables, such as temperature, CO2, lighting and plant stages, have been combined into a formula, that allows us to achieve unprecedented volumes of strawberries of superior quality. Besides traditional strawberries, we also know our bit about growing other things, using assimilation lights. And it does not stop there, either. To leave nothing to chance, Jong Fruit grows its own plants, as well. To keep a steady flow of motivated workers available all year round, we even have our own employment agency, called Fruit Jobs. In the field, by now, our name guarantees quality. This is why we also supply other growers with both plants and employees. For processing the fruit, we rely on our partner, The Greenery, that packages and distributes millions of kilos of Jong Fruit strawberries. This is done for Jumbo supermarkets, for instance, as well as for a number of large customers abroad.